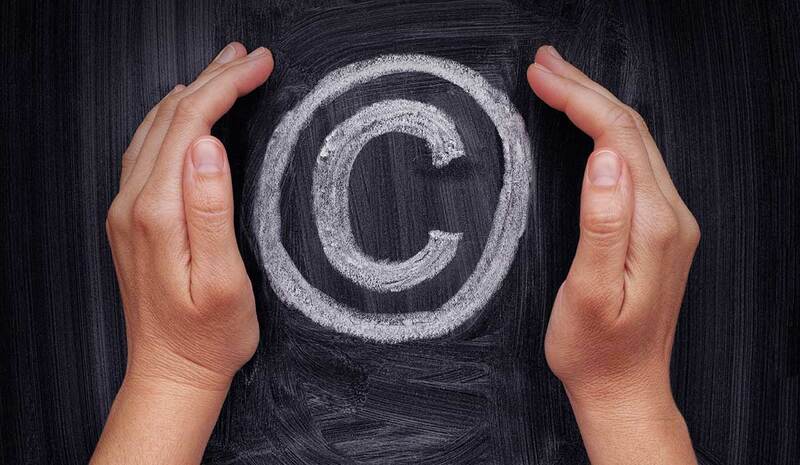 Violating copyright law can cost your practice in more ways than one. Now is the time to scour your website, social networks and marketing materials for ill-gotten images. Courts are ruling in favor of image creators who made the effort to license their works and benefit from the protection of copyright law. The convenience of the internet is something we’ve all learned to enjoy in one way or another. Netflix, for example, makes for hours of satisfying home entertainment, especially when coupled with good popcorn. Google, as another example, allows us to index the entirety of the World Wide Web with just a keyword phrase and a vertical scroll. Facebook brings your childhood friends, college alumni and family under a single roof. This same convenience, however, can be dangerous at times and costly at others. Why? So much information is at our fingertips that the imagery and resources we access start to feel a lot like our own. After all, if I’m searching for new and savvy images on Google, I’m doing it on my Wi-Fi, in my home and on my laptop. This type of thinking, however natural, can spill over into nasty legal issues, especially in cases of copyright infringement. The situation is far more common and costly than most veterinarians and practice managers realize. Veterinary practices using images found on the web that haven’t been properly licensed or authorized can lose the credibility of pet owners and wind up liable for thousands of dollars in damages. I have seen practices paying penalties of $500 to $20,000 for illegally using an image. While the repercussions might sound severe, courts are ruling in favor of image creators who made the effort to license their works and benefit from the protection of copyright law. This means that if you use a screengrab image on your website, social media or marketing brochure, you might face a steep fine faster than you can imagine. If you have illegally reused a web image, I wouldn’t hit the panic button. In my estimate, you’re like at least 99.9 percent of veterinary practices that have done it in some form or another. But know that if you keep the images live on your website or in marketing materials, you’re doing so at your own risk. Comb through your practice’s website, social networks and marketing materials from top to bottom. If your practice doesn’t own the image or if you didn’t license it yourself, delete it. On Facebook, make sure to delete (not just hide) images that you didn’t receive explicit permission to use. Don’t worry, doing this won’t hurt the success or reach of your page. Pay closer attention to your business page than your personal page. While both are liable for copyright infringement, your business has more at stake and is more likely to be targeted for illegal use. Memes count, too. While memes often provide a good laugh, these hilarious internet tidbits can be infringed upon. OK, so you’ve deleted the generic pet pics and just under 200 memes. Now what? It’s time to start thinking more holistically about your content and social media as a whole. Not only are illegally used stock images dangerous, they’re flat out boring. Simply put, these images no longer make the cut when it comes to the ability of modern veterinary practices to connect with pet owners. Social media and marketing today are not simply about cookie-cutter images but instead about the personal experience and connecting your practice in a deeper way. Your clients want to see you in your element, working with real pets and clients. That’s where the true story is, and that’s where the true value lies. As you start to reclaim your veterinary practice’s message and imagery, it’s time to implement best practices. You can’t just start snapping shots with your new iPhone X. You must obtain explicit client permission if you want to show their pet in any photos or marketing materials. An easy way to do this is to collect a consent on your client registration forms. For existing clients, you can get a signature during drop-off or, if the owner is present, before you take a photo. Don’t forget that these photographs, even when authorized in a consent form, must be taken on a clinic-owned device. I recommend that you purchase a camera, perhaps an iPod Touch or a clinic cell phone, for your practice. Hospitals should go the extra mile by prohibiting the use of personal cameras for such purposes. This ensures that employees don’t take home images of clients, which can cause a wide range of fallout, and that selected images are approved by the appropriate decision makers before being posted. Another benefit of these policies is that offering to take photos of a pet is an easy way to boost client engagement, as the owners are often proud to show off their adorable kitten turned Instagram superstar. For pets that can’t be photographed on the spot, invite the owner to email a photo after the visit. The key here is to boost client engagement by crafting a narrative around your veterinary practice and clients. Each pet and owner has a story to tell, and ultimately this becomes a part of your practice. When pet owners visit your website or social media page, they’re not looking for stock photos. They want the full picture. That is, they want the real story behind who you are and what your veterinary practice believes in most. 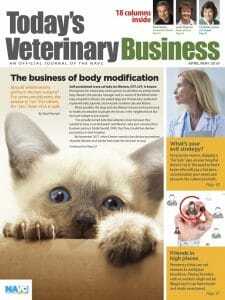 Socially Acceptable columnist Eric D. Garcia is an IT and digital consultant who works exclusively with veterinary practices and speaks at veterinary conferences around the world. Learn more at www.ericgarciafl.com.